Hello I’m Darren, for the last 4 years I have represented Chasetown on the Town Council. 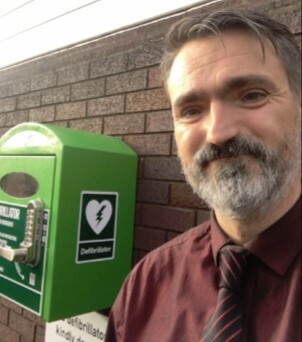 In this time I have worked tirelessly on making Chasetown & Burntwood a better place, working with the Police/PCSO’s and getting Community Defibs installed throughout the whole town. 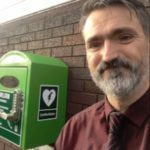 I have raised money for local charities like St Giles and CASS and also launched a bid that led to the saving our Sankey’s Corner Post Office. In my day to day life I am a father of 4 (17, 12, 6, 4) which is something that drives me to make Burntwood a great place to bring up Children. I also run Haywoods Blinds in Burntwood that employs lots of local residents. 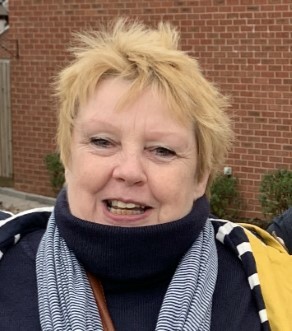 I do a few other things in the community such as Treasurer of the Grangemoor WMC, School Governor, Treasurer of the Burntwood Business Community. When I do get time to relax, I Captain the Grangemoor Crib team (something I’ve done for 15 years) and play in the Grangemoor Pool League. Most importantly I love spending time with my family, taking walks around our town amazing landmarks such as Chasewater and Gentleshaw Common. My name is Carolyn Gittings, I moved to Burntwood 28 ago. At present I am the chef manager at Hammerwich Hall and have been there for the past year. I volunteer at Sparks, cooking for Sparky’s Den when I’m not at work. I help out with a local Hammerwich resident keeping an eye on public rights of way and keeping paths clear for walkers. At Hammerwich Hall we hold drop-in days for local residents to pop in for afternoon tea and a chat. I have been on Hammerwich Parish council for the past two years, and been a member of the local Labour party for the last three years. I became the Women’s Officer at the last AGM. 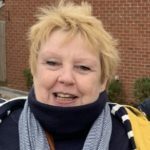 I am extremely proud to have had the opportunity to have worked and helped some amazing women in our area, the young and not so young women up at Sparks who do a wonderful job helping the local community, Hammerwich cricket club and Hammerwich’s unsung hero’s who do and give so much to Burntwood.